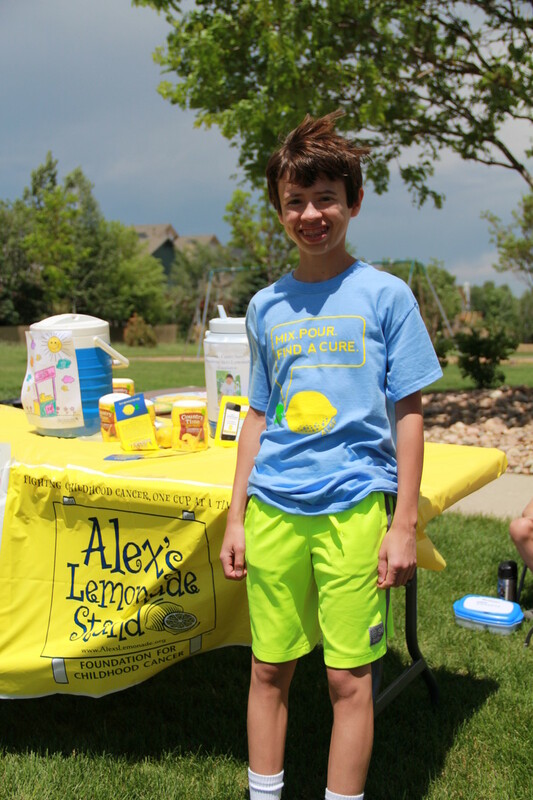 This is the 11th year that Michael and his family have participated in the nationwide fundraiser for Alex’s Lemonade Stand Foundation. His mother, Lisa, says they have raised more than $17,000 over the last 10 years. 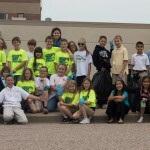 Students from North Star Academy, a K-8 public charter school in Douglas County, partnered with several local organizations to celebrate Earth Day as part of a school-wide community service day. 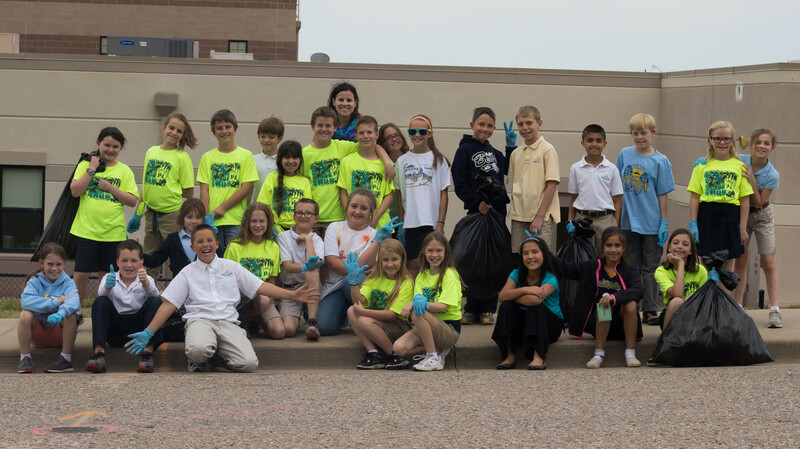 This year’s Earth Day partners included Stonegate Senior Life Center, Montessori Preschool, Champion Bank, South Metro Fire Station and the Parker Water table along the Cherry Creek Trail. About 600 students, teachers and parents spent the day helping local businesses with activities that included cleaning, planting, recycling, writing cards and baking cookies for local firefighters, and performing for patients at the senior center. More information is available at NStarAcademy.org. Ponderosa Athletic Director Tim Ottmann received the Colorado Athletic Directors Association’s (CADA) State Award of Merit during its 42nd Annual Awards Banquet on April 27 in Breckenridge. Ottmann has been at Ponderosa for 25 years and an athletic director for the past 20 years. During this time, the Mustangs have garnered 25 state championships and 50 league championships. As the former wrestling coach at Ponderosa, he was one of the most successful coaches in the state and the nation. His wrestling teams captured eight state championships and 14 consecutive league championships prior to his retirement as coach in 2008. He is known around the state as a “coach of coaches,” always willing to share his knowledge and tips for success, and was named the CADA Athletic Director of the Year in 1998. Global Village Academy, Parker’s new internationally-focused K-8 charter school, is now under construction near the corner of Twenty Mile Road and Ponderosa Drive, with plans to serve up to 440 students when the first phase opens in August. The Academy is the fifth in the Colorado network of schools that feature language immersion with instruction in English and choice of Spanish, Mandarin Chinese, or French. The affiliated fee-based, nonprofit Global Village International preschools are also open now in Parker and Castle Rock. “Our curriculum is much like other public schools, but we have our students learning in a second language for half of the day,” says Terry Gogerty, chief operations officer for the five-school network. The accredited public school will offer programs for kindergarten through fifth grade this fall. Each subsequent year, a grade level will be added until it is established as a Pre-K through eighth-grade program. For information, visit GVASchools.org. Rotarians Don Clausen, Bob Kramer and Wayne Wagener have been working with some residents at Spectrum Retirement’s Lincoln Meadows facility, assembling toy cars for Toys for God’s Kids. TFGK is a volunteer organization that creates sturdy, attractive toy cars from recycled wood for underprivileged children all over the world. The people at Lincoln Meadows have assembled more than 2,800 toy cars for distribution in more than 130 countries. The cars they currently are assembling will be distributed in Third World countries via Project C.U.R.E.’s Kits for Kids program. 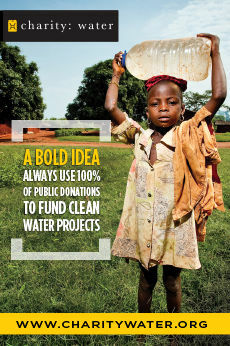 Kits for Kids provides personal hygiene and basic “medicine cabinet” items that are scarce in developing countries. Volunteers fill bright red backpacks with a toy car and other essentials to be distributed worldwide. 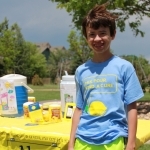 For information about the Denver-based Project C.U.R.E, a non-profit that provides medical supplies throughout the world, visit ProjectCure.org. For information about TFGK SmileMaker assembly network, go to ToysForGodsKids.org. 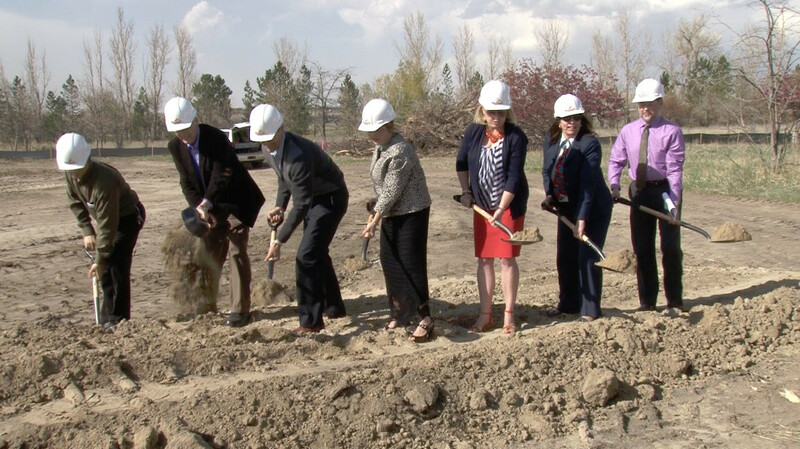 Ground was broken in May on three Douglas County libraries being built in Parker, Lone Tree and Castle Pines. 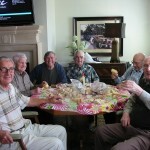 In Parker, the festivities were held May 18 at 20105 East Mainstreet, just north of the PACE Center. The facility is scheduled to open in February 2016 on a site, which provides views to the west and over Parker’s planned park and plaza. 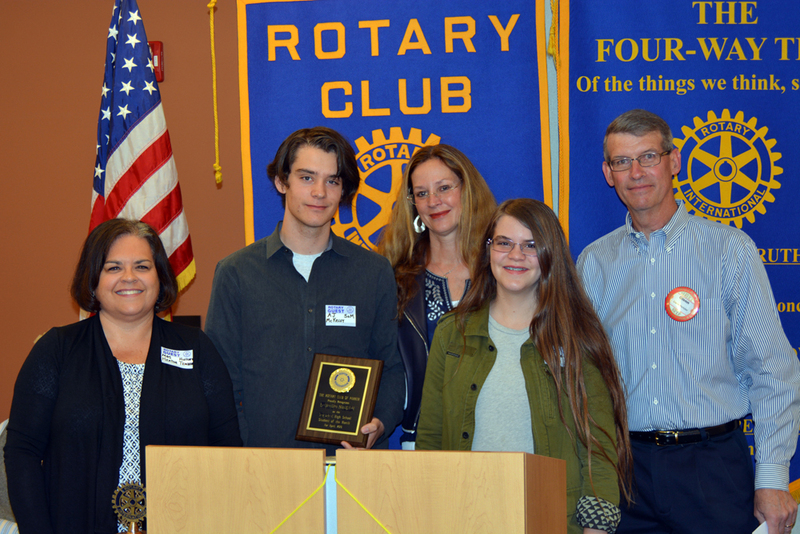 The Rotary Club of Parker recently honored A.J. 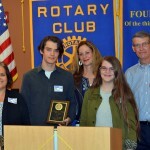 McKelvy and Sydney Nelson as its April Students of the Month from Ponderosa and Chaparral high schools, respectively. At Ponderosa, McKelvy is a member of the Link Crew and section leader of the Marching Band who plays seven instruments. He also enjoys flying and currently has his private pilot’s license. McKelvy has been accepted and will attend the School of Aeronautical Engineering at the University of Colorado in Boulder. 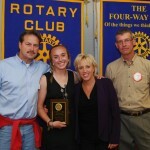 Nelson is ranked second in her class of 523, taking five Advanced Placement classes. She is the secretary of the National Honor Society, vice president of DECA, a Link Crew leader, and is active in the Interact Club. 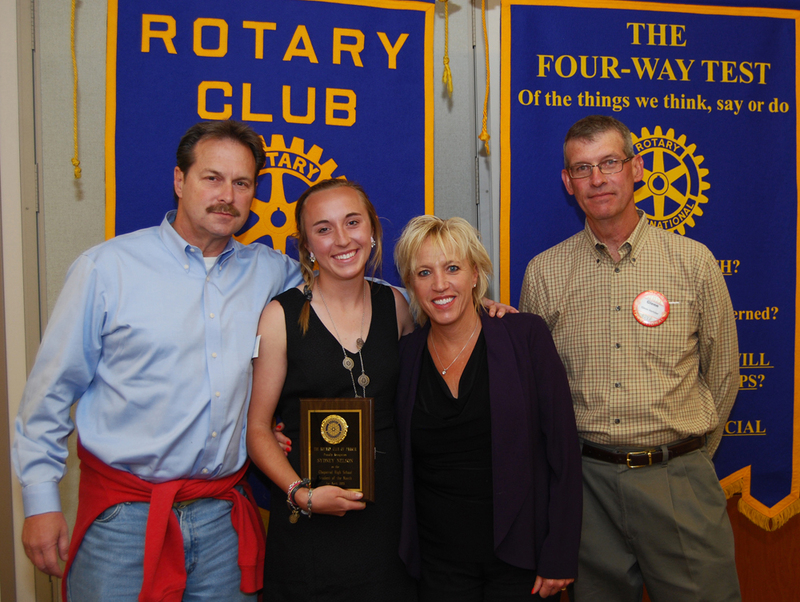 In addition, she is the captain of the girls’ tennis team and plans on attending the School of Mines in the fall, majoring in chemical engineering. The Metro Brokers TriathlON Friday is set for June 19 at Cherry Creek State Park. 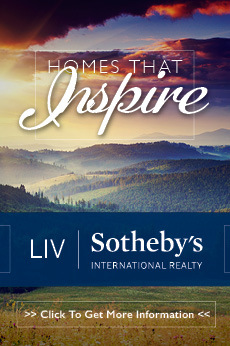 For more information about the race and online registration, visit TriathlonFriday.com. A new menu and happy hour specials are now available at the Rock Wood Fired Kitchen on East Cottonwood Drive in Parker. The new happy hour specials are priced from $3 to $9 and include chips and queso, edamame, a lobster dip and wings. For those who would rather have pizza, there’s a $2 discount on 9-inch pizzas, as well as beer specials during the happy hour, which runs from 3 p.m. to 6 p.m. and from 9 p.m. to midnight on weeknights. The lunch menu also features some new items that are under $10 and take less than 15 minutes to prepare. 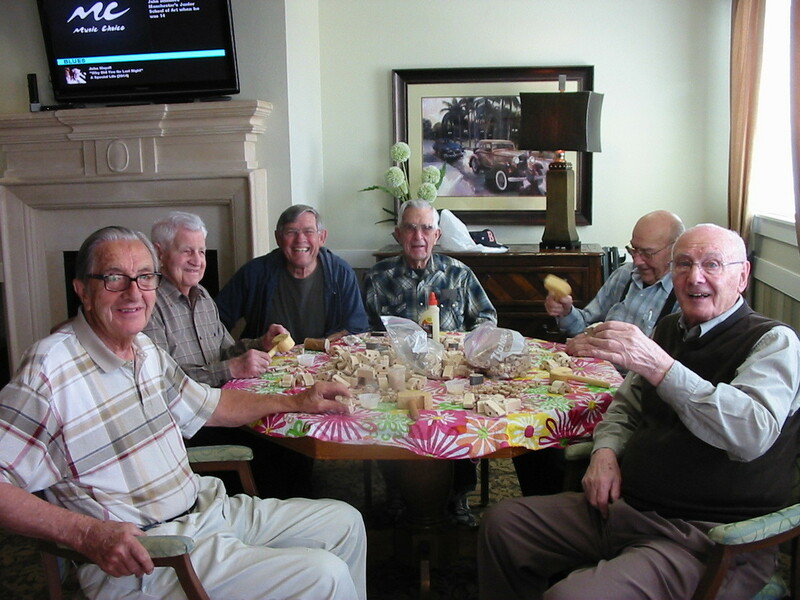 Frequent guests to Rock Wood can sign up for the loyalty program, the Backstage Pass, which includes a free lunch every sixth lunch and a free dinner every 10th dinner, as well as a free appetizer for signing up and a free birthday dinner. The second window for Open Enrollment is now open in the Douglas County School District (DCSD). Applications for the 2015-2016 school year will be accepted until Aug. 15, 2015. According to Colorado law, students may attend any public school of their choice as long as space is available at the school of choice. In DCSD, 27 percent of the students participate in open enrollment. For information and application instructions, visit DCSDK12.org/choice-programming or call Kristin Schmidt at 303.387.9506.